Jul 25, 2016 @ 08:59 AM — by Sharon B. Mateja, D.D.S. The people of Rancho Cucamonga know that they can count on us for comprehensive general dentistry services and treatment. This means addressing common dental care needs and also offering preventative care. This includes the fabrication of custom mouth guards. A mouth guard is a type of protective retainer that is worn in order to prevent damage to the teeth, gums, and other parts of the mouth. 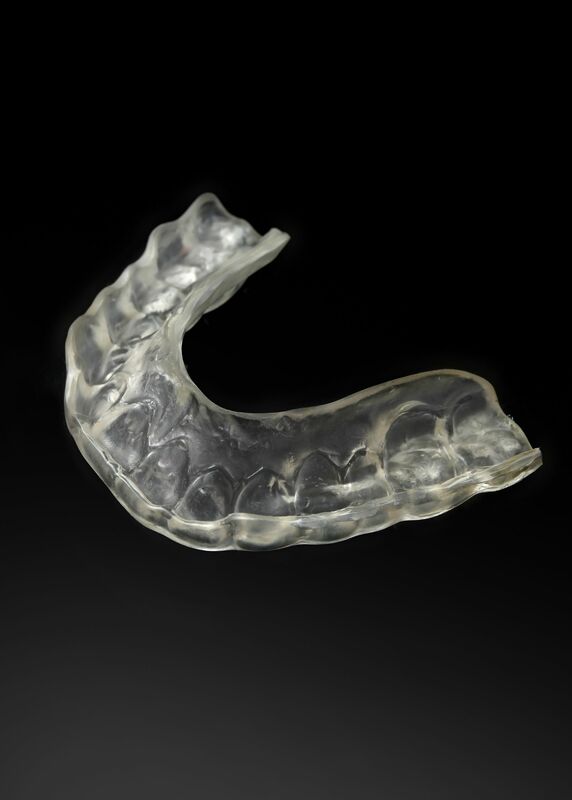 This mouth guard is custom molded to the patient's teeth in order to ensure comfort and effective, high-quality care. There are different kinds of mouth guards that may be used to address dental wellness needs. Let's look at three common uses for mouth guards and who the ideal candidates are for these kinds of mouth guards. In addition to contact and combat sports, a number of athletes who play soccer and basketball also wear mouth guards. These sports can get very physical, and serious injuries can occur when going for a rebound or trying to chase down a loose ball that's headed out of bounds. As with any kind of recommended protective gear, it's just smart to wear a mouth guard while playing sports. Teeth grinding refers to the gnashing, shifting, and clenching of the teeth when a person is asleep. When teeth grind against each other, it can lead to serious tooth damage, wear on the teeth, gum recession, and even problems with the jaw joint. Teeth grinding is most often caused by stress, certain medications, and misalignment of the teeth, and it can also be related to certain medical conditions. The use of a custom mouth guard is means of addressing the damage to the teeth and gums related to teeth grinding. The mouth guard in these cases is known as a night guard or bite guard. This night guard is worn while the patient is asleep, preventing direct contact between the top and bottom teeth. In the process, the damage to the teeth and stress on the other structures of the mouth is reduced. The temporomandibular joint (TMJ) is one of the most complicated joint in the human body. This is the joint that connects the lower jaw to the cranium. Given the types of movements required to bite, chew, speak, and make facial expressions, this should come as no surprise. TMJ disorders (TMDs) occur when the jaw joint becomes poorly aligned or when the structures of and around the jaw joint are negatively impacted. Most people know TMJ disorders by the telltale popping of the jaw. This can can occur as a result of arthritis, teeth grinding, physical trauma to the face or head, or long-term natural wear and team. When TMJ disorders are linked to teeth grinding, the use of a mouth guard can be used to relieve stress on the jaw. Typically this is just one facet of the overall treatment approach. For more information about improving your dental health and wellness, be sure to contact our cosmetic and restorative dentistry practice today. We look forward to your visit and helping you smile with absolute confidence again.